I am not a professional photographer, I'm an amateur one at best! 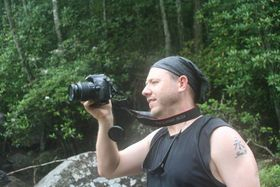 My overall goal is the hike and journey itself, pictures are secondary to me. For those who know me, I don't stay very still for very long so patience is not my virtue. I don't spend hours or more than 10 minutes for that matter waiting on perfect or better lighting conditions. I make the best of what I've got at the time and move on. Sometimes I get lucky and sometimes I get below average pictures. Either way, I'm happy just to document the journey with pictures and video. These are the camera's that I use. If you want photography advice and tech talk between different types of camera's, I'm just not the best guy for that. 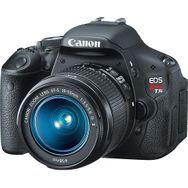 DSLR- Canon Rebel T3i. This is the only camera in my arsenal capable of producing the slow shutter speed shots of waterfalls that create that smooth white effect. I also frequently use the movie mode to shoot many of my videos. This camera and water do not mix. Unless it's strapped around my neck, this camera always lives in a durable dry sack inside my backpack. Point and Shoot- Nikon Aw-100 waterproof/shockproof GPS enabled camera. This camera always stays in my pocket, around my neck, or within a moments reach. 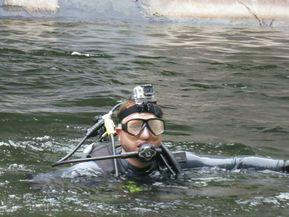 It's waterproof enough to swim with and shockproof enough to reasonably drop. I also use the video function on this camera for many of my videos. 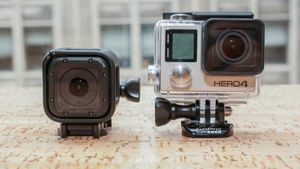 The GoPro Hero4 Silver and Hero4 Session Action Camera's. After spending some time at GoPro headquarters on a work trip, I came home and immediately upgraded to both these cameras. The Hero4 now has great functionality for low light conditions as well as night photography. The full function built in touch LCD screen is also a great upgrade from the previous models. I tend to use the Hero 4 Silver for hand held shots while the Hero4 Session is perfect for a helmet cam. It's tiny, the price is right, and it's the simplest of all GoPro cameras to use. Together, they make a great team! 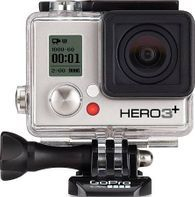 GoPro Hero 3+ Silver Edition. This was my first GoPro so I now I use it for shooting scenes with all 3 camera's firing at the same time. As a stand alone, I find myself using this camera less and less. 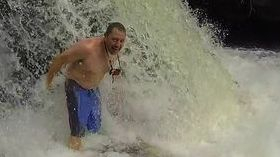 I use the GoPro Video Editing Software for all my videos. It's free and it is fantastic! 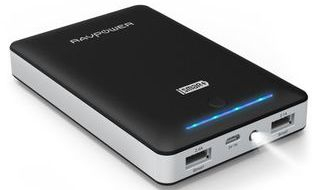 For the price, $27.99 on Amazon, it's hard to say anything bad about the RAVPower 13000MaH power bank with iSmart technology. The dual USB ports are great for charging two devices at the same time. It will recharge an iPhone 6 5 times. That's impressive for the size and weight. As with other electronics, I keep this stored in a dry sack unless I am using it. It's small enough to fit in my pocket to charge my phone while I'm on the move. Small LED flashlight, a bonus! For beefy trips that require recharging DSLR Camera batteries and radios, the Goal Zero Sherpa 50 does the trick. As far as battery charging units go, this thing is nothing short of a workhorse. I use this unit to charge my camera batteries, my phone, my GPS, a bluetooth speaker, and even my watch. 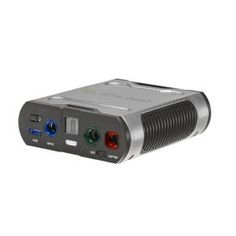 It has enough power to charge a laptop computer and has an optional AC/DC converter to charge non USB items. I've recharged my phone from near 0-100% 10 times on a single charge with power still remaining. I upgraded to this unit from the Guide 10 Plus below when my trips began to span several days at a time. This unit can also be recharged via an optional solar panel for extended trips. If you have sun, you have limitless power. This is another item that does not get along with water at all. It lives in a separate durable dry sack with the appropriate charging cables deep in my backpack. 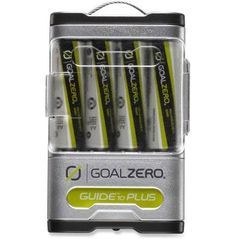 Goal Zero Guide 10 Plus. 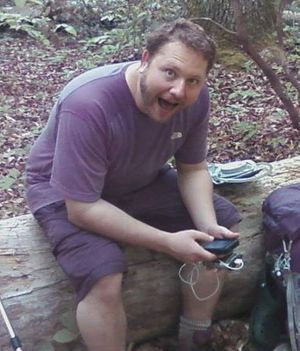 This was my goto unit for the first few years when all I was recharging was my iPhone. It functions with any rechargeable AA batteries. The fact that it operates on AA's vs an internal rechargeable battery is what sets this unit apart. When you run out of power on the Guide10, simply pop in a new charged set of AA batteries and charge away. This unit can also be recharged via an optional solar panel.